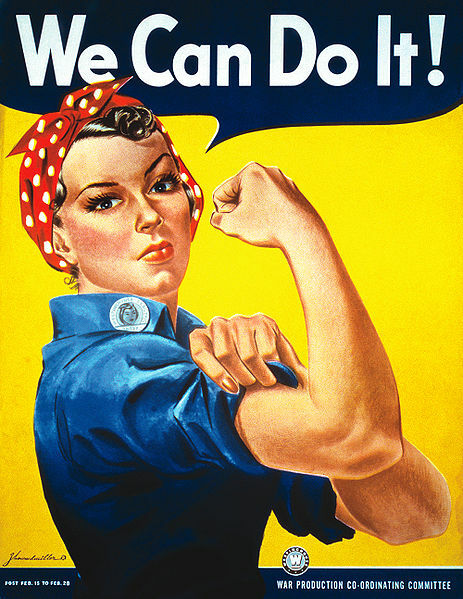 According to recent statistics women in the United States are now earning not 77% but 88% of the man’s average salary. To this end, one article in the New York Sun states that these statistics, of course, make mass demonstrations completely pointless and ineffective… Not so. I’m not going to address the statistics because I am ill equipped to do so, and furthermore, statistics can be used to prove just about darn well anything. What I will say, however, is just what sorts of jobs are these statistics referring to? It seems to me that any woman in an ‘executive’ position (should she get there) is still underpaid and under appreciated next to her male colleagues. What this article does illustrate is the danger in promoting a policy of ‘comparable worth’ as it inherently assumes women are weaker. What we (as North Americans) still do need, however, is legislation around equal pay for work of equal value. ‘Comparable worth’ returns Americans to the persons debate and makes one wonder if women ever actually became persons in the eyes of some. A third article addresses only too “the transparent glass ceiling” faced by women. While this is true, it only serves reinforces the gravity of the larger societal problem: the socialization and gender coding around certain jobs and the failure of some professions to work around the caregiver role. It does also illuminate an interesting tendency of women in the working world; that is, the disproportionate number of women who chose the types of jobs which tend to lend themselves to ‘community’ based issues. Women, it seems, gravitate toward changing their environment in the most immediate way possible (as teachers or non-profit sector workers). Why is this? But, as study co-author Catherine Hill told a congressional committee Tuesday, those decisions [to enter into lower paying professions] do not account entirely for the pay gaps. She controlled for factors such as education, occupation, hours, and children. A 5 percent difference in pay remained for women one year after graduation — before child-rearing even becomes an issue. The controls whittled the spread after a decade at work to 12 percent. Over a lifetime, those disparities snowball into total incomes $500,000 less than men, lower Social Security, lower social security for children and families. Our society punishes mothers, rewards fathers. Visitors to Merck Frost’s office may, from time to time, see a child or two spinning in a chair or doodling on a parent’s desk. That’s because employees know that, should their babysitter pull a no-show, it’s all right for them to take their children to work. I think this is a great trend that I hope will catch on with other companies! But I also think that ‘Family friendly’ policies don’t just benefit women, that their implementation is a great and necessary step ahead for fathers as well. Full-time female academics lag well behind men in status and pay. We believe that this is unacceptable.